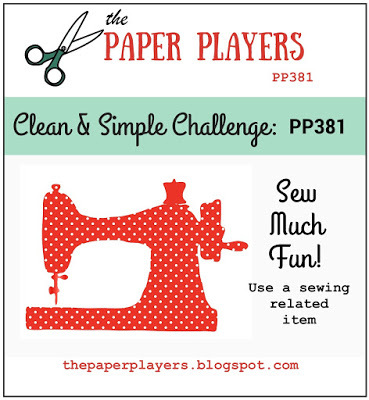 Today's card was made specifically to enter in the Just Add Ink 397--Just Add H challenge. 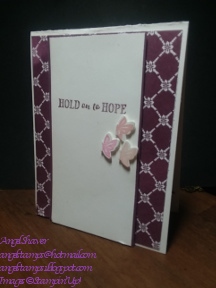 I have to admit it took my awhile to figure out which H to choose and then it struck me: my featured stamp set for March is "Hold on to Hope." That is perfect for an H challenge. I carried the floral swag into the inside of the card as well and even colored those flowers with the Stampin' Blends as well. 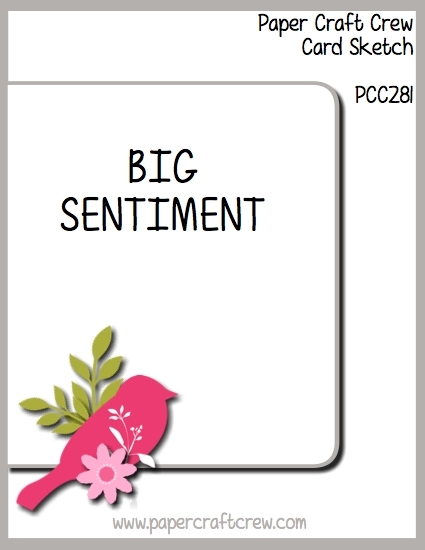 I love the decorative corner stamp in this set that just seems to make a blank card insert seem more formal. 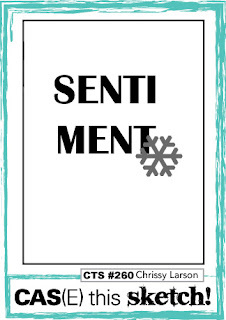 Make sure you head over to Just Add Ink to see the inspiration cards from the design team and other creative entries. 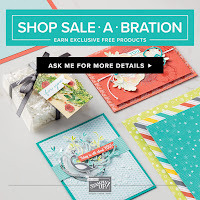 Learn more about my Paper Share for the Occasions catalog here. Is it time for Spring? I'm already starting to have a bit of a mourning period for the 2016-2018 colors. This card uses two of them, Sweet Sugarplum and Peekaboo Peach. I will miss them when they are gone, but I can't wait to see what's coming next. These colors will be around until the end of May so you still have plenty of time to make them part of your collection if you haven't yet. For this card, I used the Sweet Sugarplum for the card base and the ink for the sentiment and the rose on the card interior. 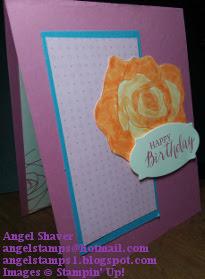 It also shows up in the Petal Garden DSP I used on the front of the card. 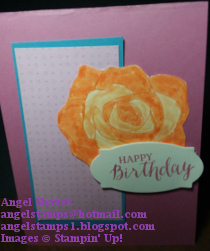 I colored the rose on the card front with a Peekaboo Peach marker for the darker bits and a Blender Pen with the Peekaboo Peach Ink Pad for the lighter petals. 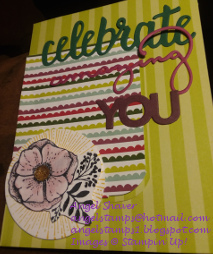 I thought Stampin' Blends markers might add more depth and detail, but I really wanted to use Peekaboo Peach and that color is not available as Stampin' Blends right now. I also thought it needed some Wink of Stella to add just the right amount of sparkle. I haven't yet figured out how to catch the shimmer in a photo to do it justice. I think you have to see it in person to really appreciate it. 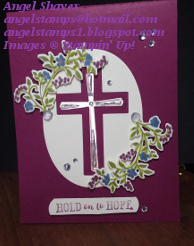 There are lots of reasons people might need to "Hold on to Hope" and receive a card like this. This card would be appropriate for sympathy, get well, dealing with any type of tragedy, but it would also be appropriate for baptism, confirmation, working towards a goal and just needing a bit of encouragement. Comment below if you can think of other appropriate occasions for this card. Make sure you check out CAS(E) this Sketch! 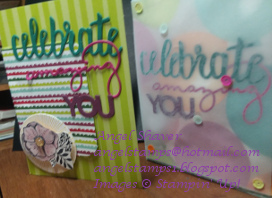 to see the inspiration cards from the design team and other creative entries. 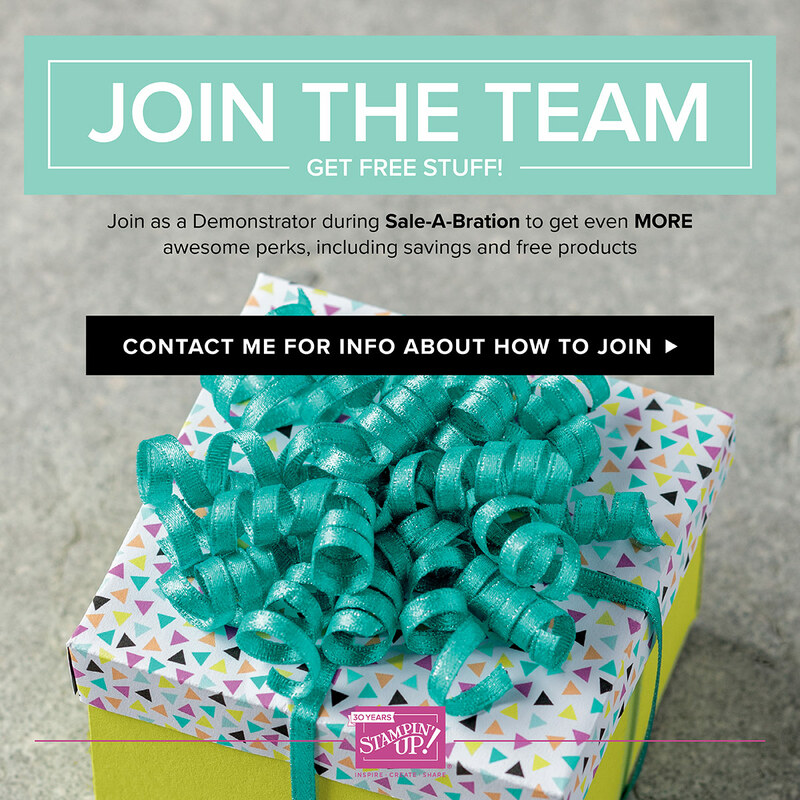 It's the last Thursday of February and the final online class featuring Fruit Basket bundle. Today we featured citrus and used the final color from the Tutti Frutti Notecards & Envelopes set: Daffodil Delight. 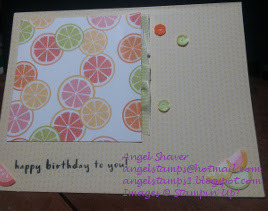 Today's card used bright citrusy colors to make slices of orange, lemon, lime, and grapefruit. The finishing touches included self-adhesive sequins and ruffled ribbon using tear & tape adhesive. 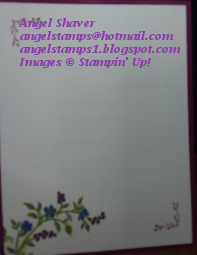 I also demonstrated something I learned at OnStage in November, using the Citrus Itty Bitty Fruit Punch to create a tag. To see how that was done, check out the video below. This was a challenging theme for me this week. 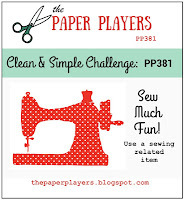 I am a papercrafter and while I have friends who are fiber crafters, it took me a while to decide how I would combine them on a card. Once I decided I wanted to wrap actual twine around spools for the front of the card, I began trying to figure out how to create paper spools. Imagine my delight when I discovered a spool stamp in the Crafting Forever Stamp Set. 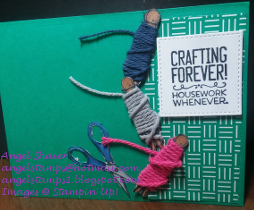 I stamped out three and after coloring them with Stampin' Blends I fussy cut then out and wrapped each with a different color baking twine. 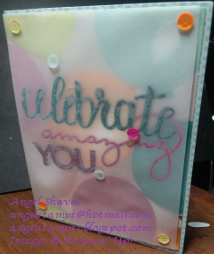 I think this card does a great job combining fiber and papercrafts. Make sure you head over to The Paper Players to check out the inspiration cards from the design team and other creative entries. 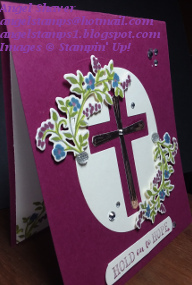 I loved using the Stampin' Blends to color in the flower and choosing this card as a Thank You card. 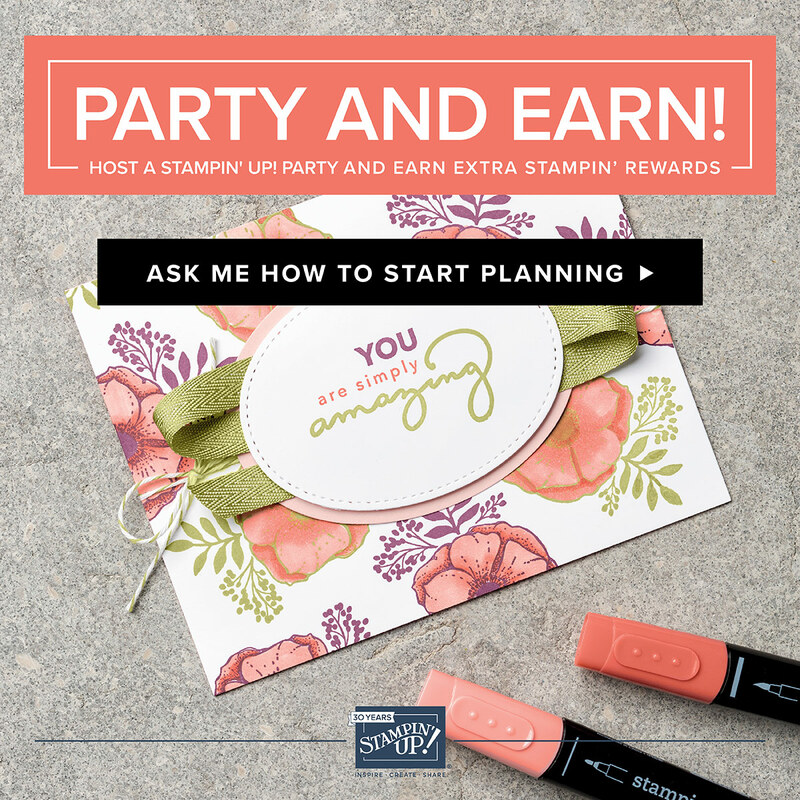 Really, this could be used for celebrating anything from a promotion to holding the door open for someone or starting the dishwasher without being asked. I just chose to add the thanks to the inside of the card to show someone how much they are appreciated and that someone notices even small acts of kindness. The Sale-a-bration items I chose to highlight on this card are the thinlits, the stamp set, and the card itself. It is part of the Tutti Frutti Notecards set. Did I throw away my original thinlits with the adhesive on the wrong side? Of course not!!! You're talking about the girl who keeps leftover scraps of paper because you never know when a card will need that exact size and color. This mistake was just an opportunity to be more creative. Some of my best ideas come from trying to fix a mistake. So, another celebration card was born. This one to celebrate a birthday. The thinlits were adhered to the back side of a vellum layer that was then attached to the card. It just goes to show anything can be redeemed. Which card to you prefer? The original thank you celebration or the bonus birthday card? Make sure you head over to the challenges to see the inspiration cards by the design team as well as other creative entries. 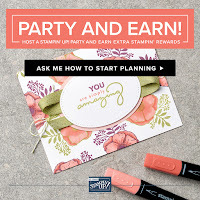 My favorite part of Stampin' Up!